For development of Abl kinase inhibitors for use in the treatment of chronic myelogenous leukemia. 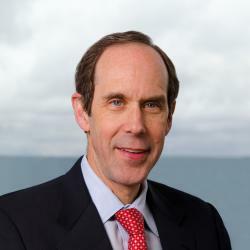 Dr. Druker is Director of the OHSU Knight Cancer Institute, Associate Dean for Oncology of the OHSU School of Medicine, JELD-WEN Chair of Leukemia Research at Oregon Health & Science University (OHSU), and Investigator of the Howard Hughes Medical Institute. Upon graduating from the University of California, San Diego School of Medicine in 1981, Dr. Druker completed his internship and residency in internal medicine at Barnes Hospital, Washington School of Medicine in St. Louis, Missouri. He trained in oncology at Harvard's Dana-Farber Cancer Institute and then returned to the lab to begin his research career studying the regulation of the growth of cancer cells and the practical application to cancer therapies. Dr. Druker pioneered the practice of precision, or personalized, cancer medicine. This approach targets the molecular underpinnings of cancer while leaving healthy cells unharmed. His laboratory performed pre-clinical studies that were instrumental to the development of Gleevec®, a drug that targets the molecular defect in chronic myeloid leukemia (CML). After completing a series of preclinical studies, Dr. Druker spearheaded the highly successful clinical trials of imatinib for CML, which led to FDA approval of the drug in record time. Dr. Druker’s work not only served as a proof of principle for targeted therapies, but it demonstrated the possibility of transforming cancer into a manageable disease, a concept previously unimagined. Imatinib established a new treatment paradigm for cancer with many more targeted therapies developed in its wake. Over time, imatinib has also proven effective in treating multiple forms of cancer. It is currently FDA approved for CML, gastrointestinal stromal tumors (GIST) and eight other cancers. Dr. Druker’s role in the development of imatinib and its application in the clinic has resulted in numerous awards for Dr. Druker, including the AACR-Richard and Hinda Rosenthal Award, the Warren Alpert Prize from Harvard Medical School, the 2009 Lasker-DeBakey Award for Clinical Medical Research, the Japan Prize in Healthcare and Medical Technology and the Albany Medical Center Prize in Medicine and Biomedical Research. He was elected to the Institute of Medicine of the National Academies in 2003, the American Association of Physicians in 2006, the National Academy of Sciences in 2007, the American Academy of Arts and Sciences in 2012.